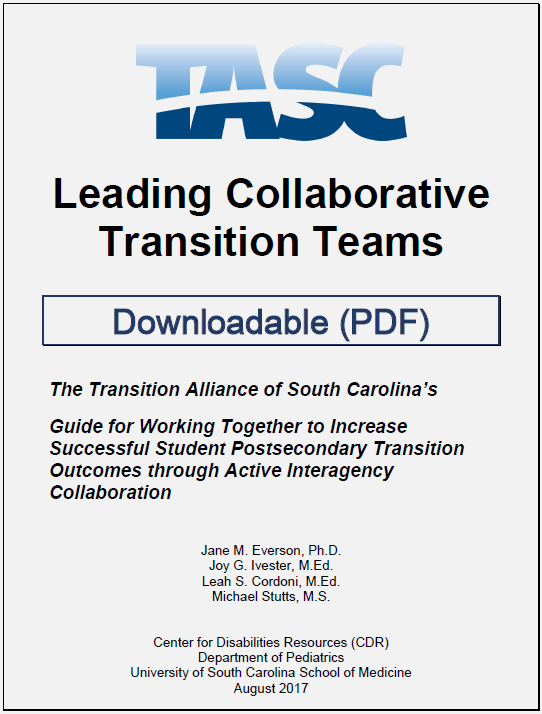 Leading Collaborative Transition Teams: The Transition Alliance of South Carolina’s Guide for Working Together to Increase Successful Student Postsecondary Transition Outcomes through Active Interagency Collaboration. 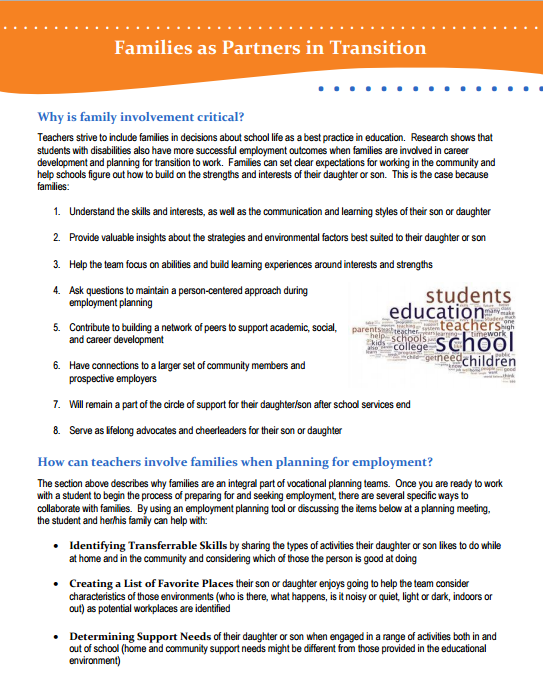 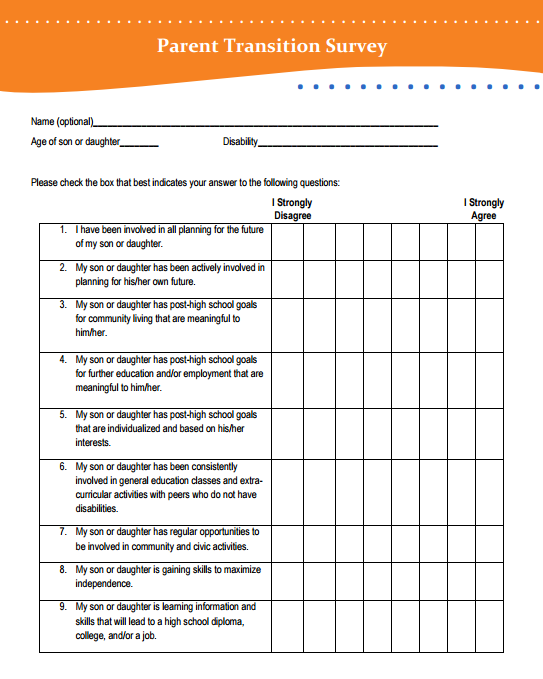 Tools to help parents find partners during critical transition periods. 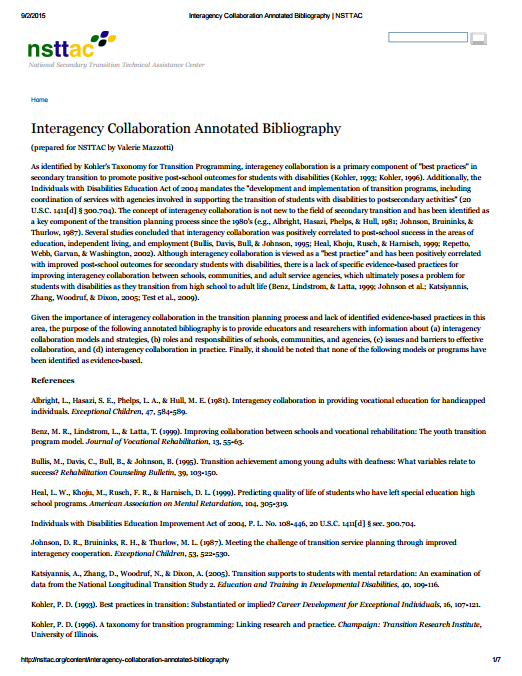 An annotated bibliography meant to provide educators and researchers with information about (a) interagency collaboration models and strategies, (b) roles and responsibilities of schools, communities, and agencies, (c) issues and barriers to effective collaboration, and (d) interagency collaboration in practice. 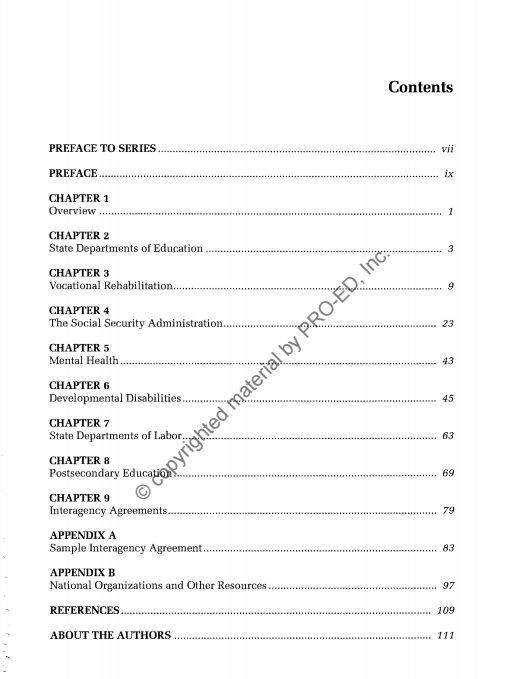 A book providing information on the nuts and bolts of a range of adult services available in the community to individuals with disabilities. 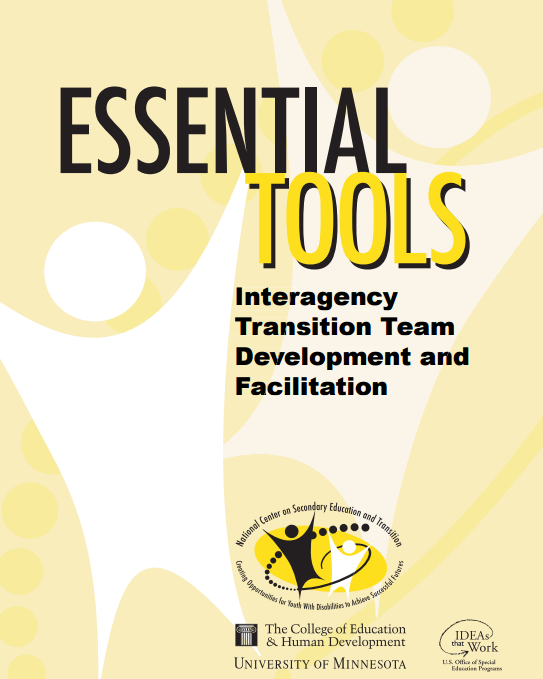 A host of resources which help to launch youth with disabilities into the workforce. 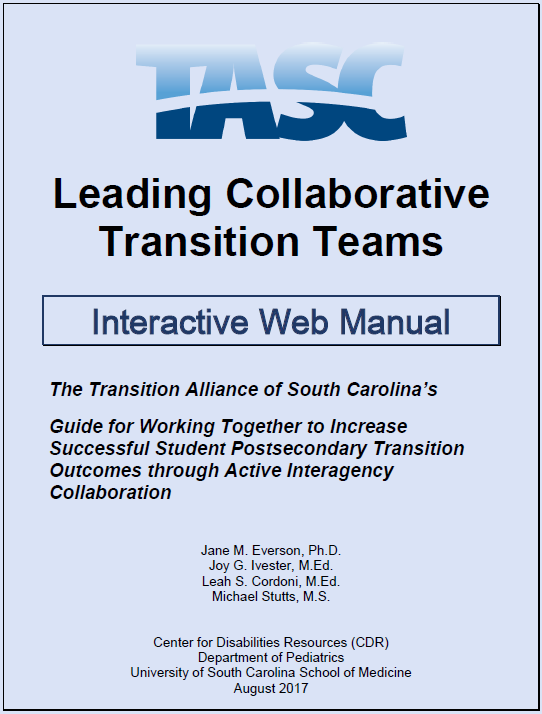 This Essential Tool will assist state interagency transition teams to operate in an efficient and successful manner. 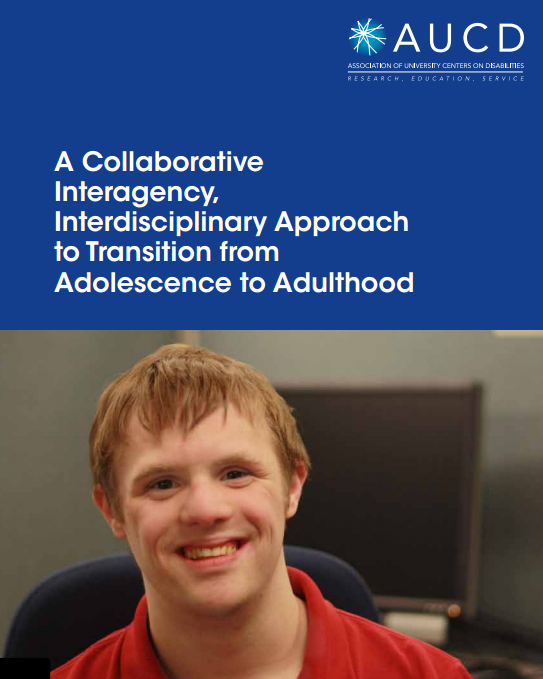 This paper aims to promote a dialogue among key stakeholders and to facilitate their engagement in pursuing a more comprehensive, coordinated, supportive, and successful transition process for youth with disabilities from adolescence to young adulthood. 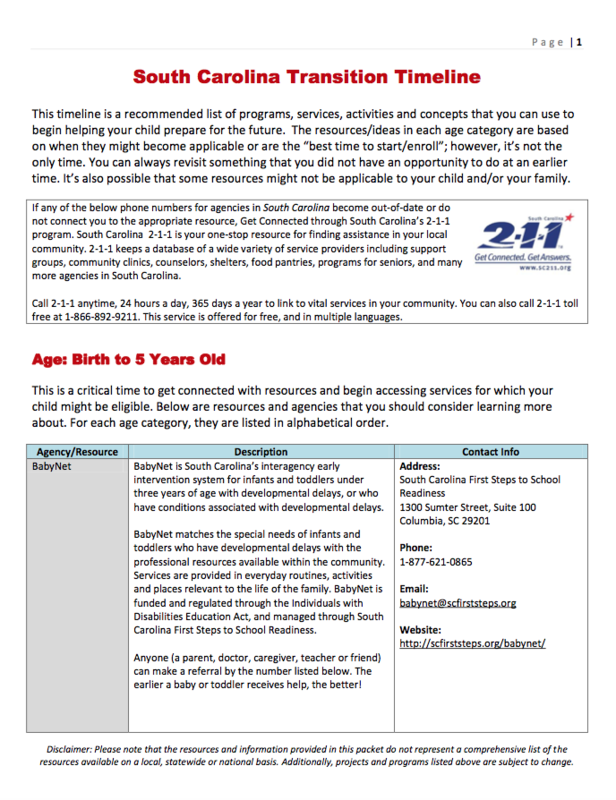 View our timeline of recommended programs, services, activities and concepts to use throughout the life of a child living with disabilities.